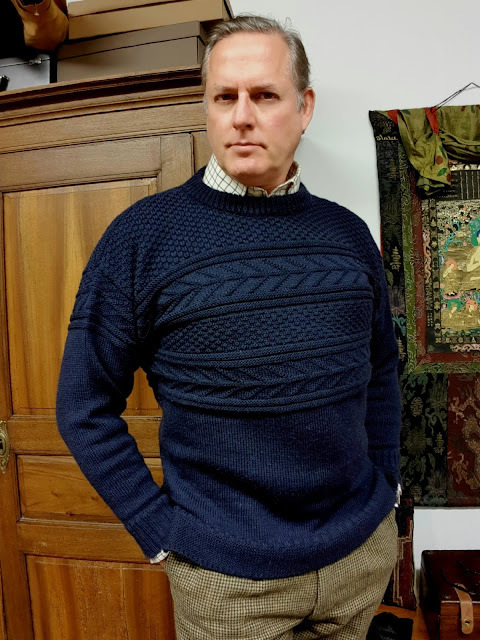 I picked up this great Guernsey jumper late last winter and decided that it being so late in the season, I would be better posting in up in the coming winter. 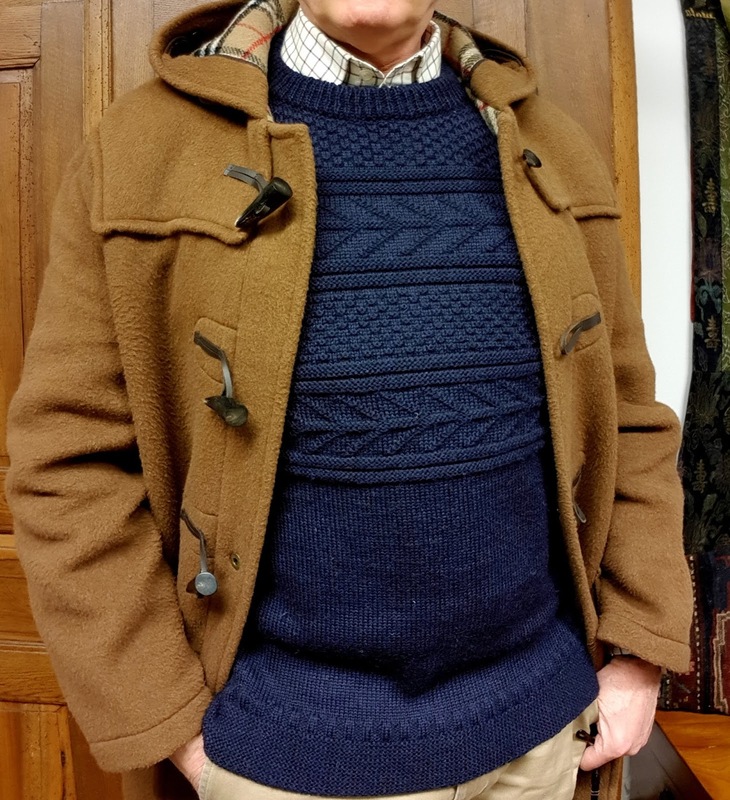 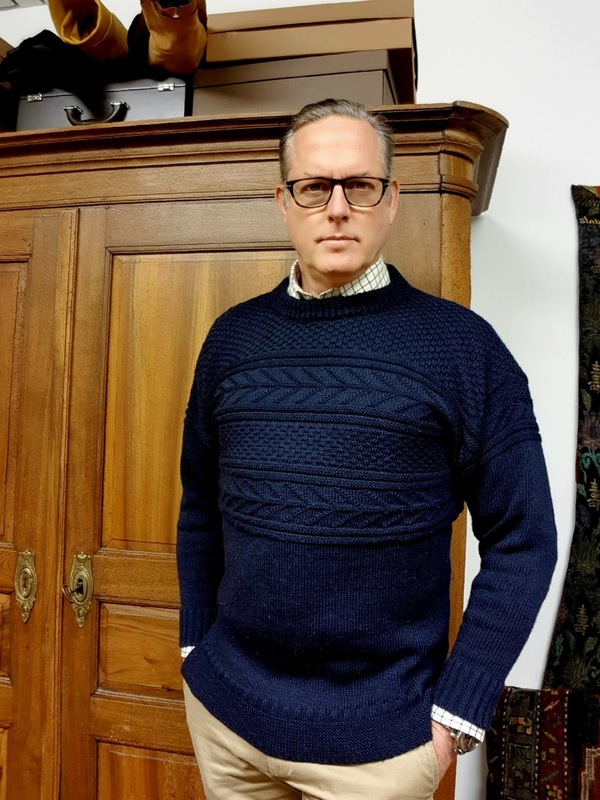 Well, that winter has arrived and I must say this sweater in the famous fisherman's style Features the 'Polperro' pattern - of bars and seeds which originated in the beautiful Cornish Fishing village. According to the Atlantic Shore Knitwear website, 'Like the Guernsey's from the Channel Islands the Cornish 'Gansey' incorporated the pattern on both the back and front of the garment meaning that if your elbows wore through you simply turned the jumper around!' 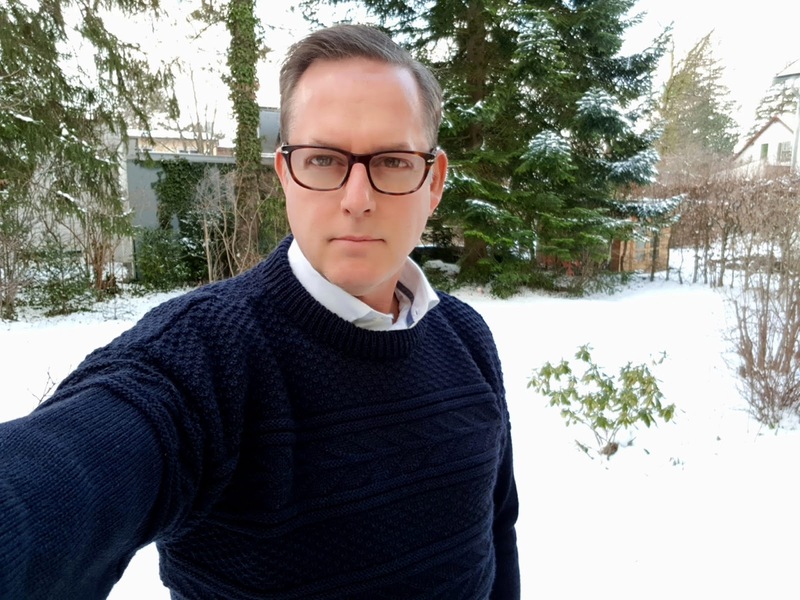 I'm not sure I will need to be so frugal, and give this jumper is knitted 'with a 7 gauge stitch, making a tight-knit garment that helps in making it weatherproof', I'm not sure I will be wearing this sweater out anytime soon. 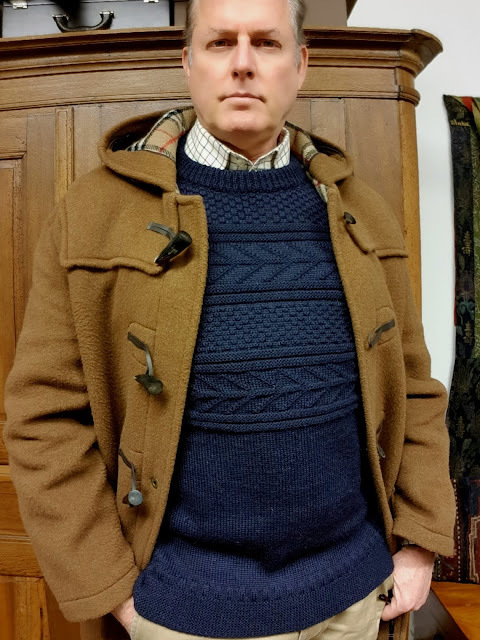 Knitted in England from pure 100% British wool really fits the bill. 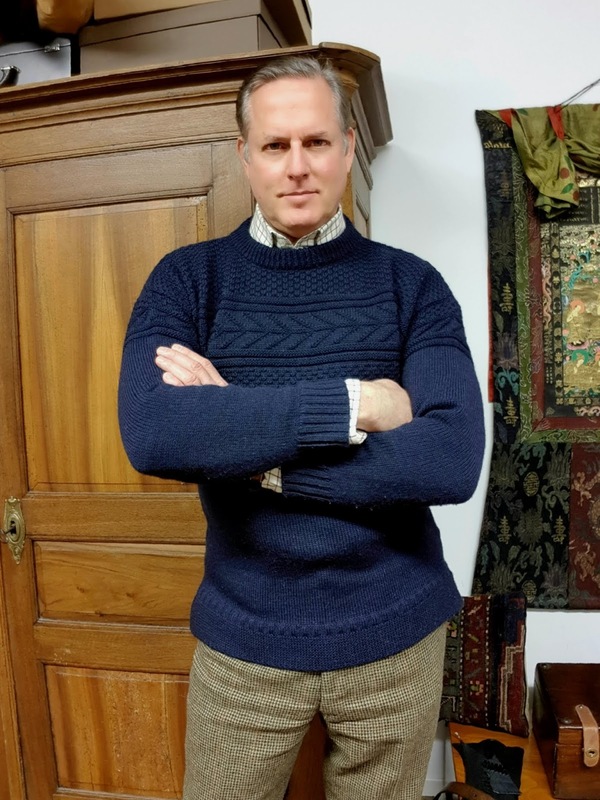 I think it would keep me warm in just about the harshed of Germany weather. Cut long and fairly close fitting help a lot with the job at hand. 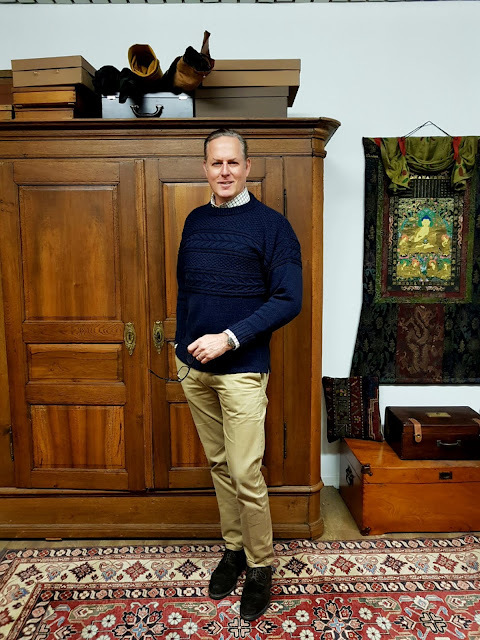 From the Good people at Atlantic Shore knitwear located in Saint Ives, Cornwall they have been making traditional hardwearing English knitwear since 1984. 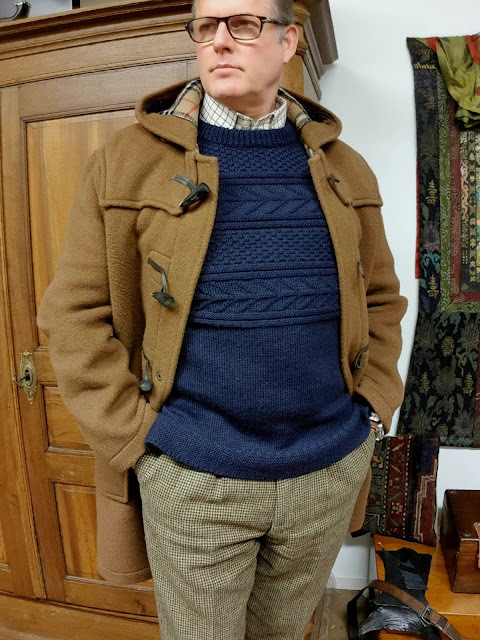 If you happen to find your self in St. Ives you really should drop into there shop, otherwise, do as I did and order yours on their website. 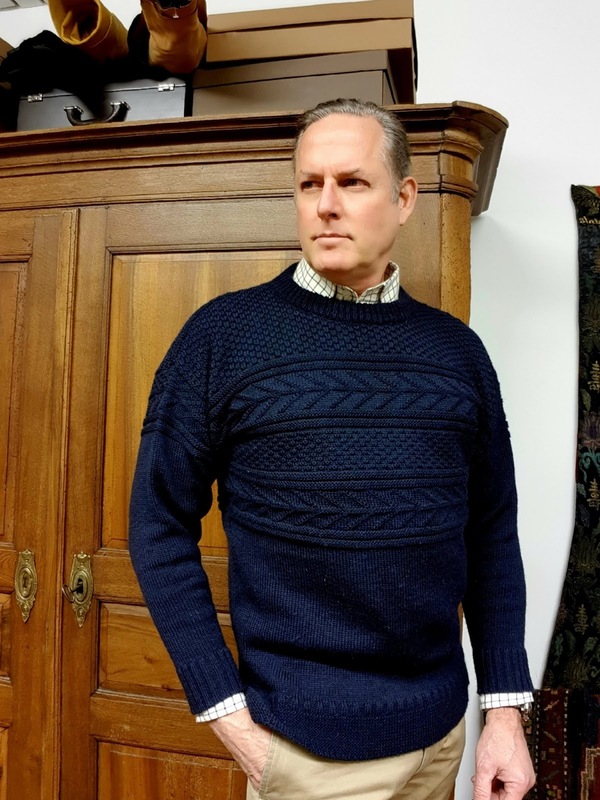 According to their website Atlantic Shore Knitwear supplied a quantity of this jumper recently to the wardrobe department of 20th Century Fox in Hollywood for their new film 'Call of The Wild' Starring Harrison Ford and Dan Stevens, due for release in 2019. 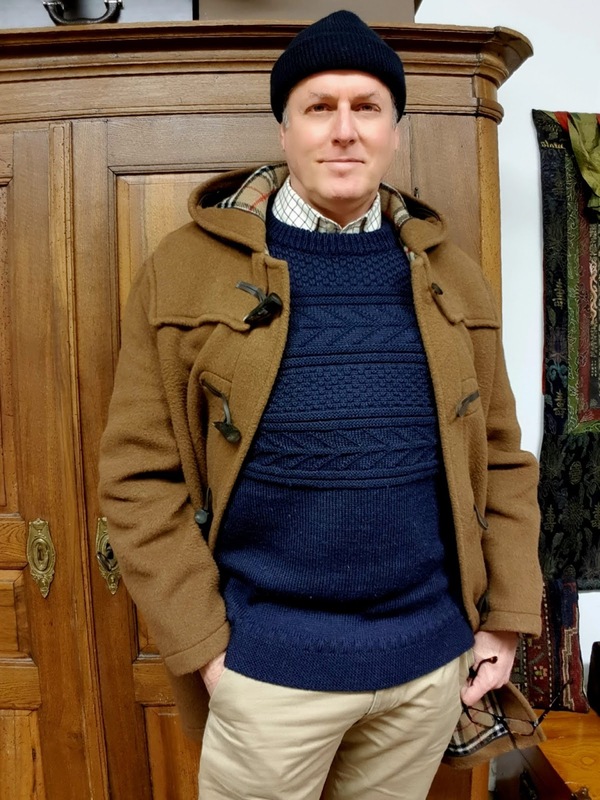 I'm not sure if these will be used as costumes for the movie or to keep the crew warm during the location filming in the Yukon, but either way, they'll be plenty warm. 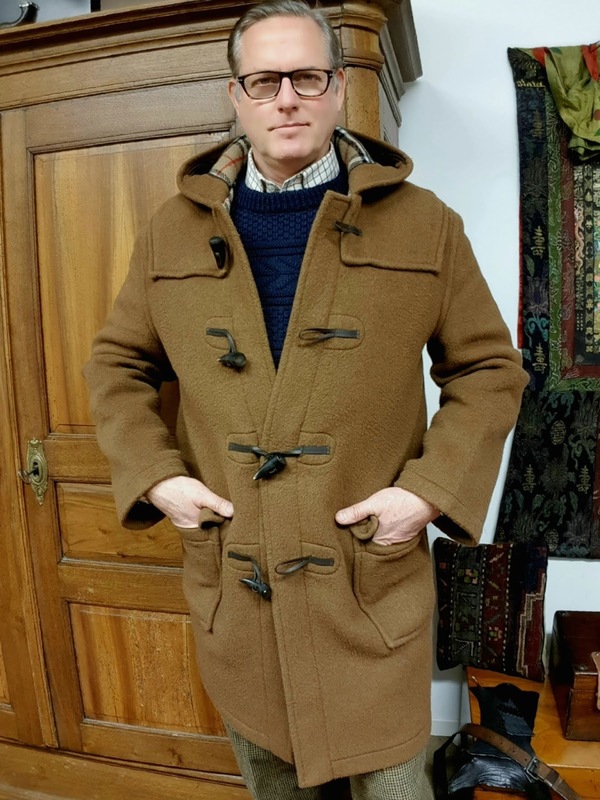 I like to combine my with my duffle coat from John Partridge Co. which together will keep me toasty warm in the harshest of weather.